Happy spring! 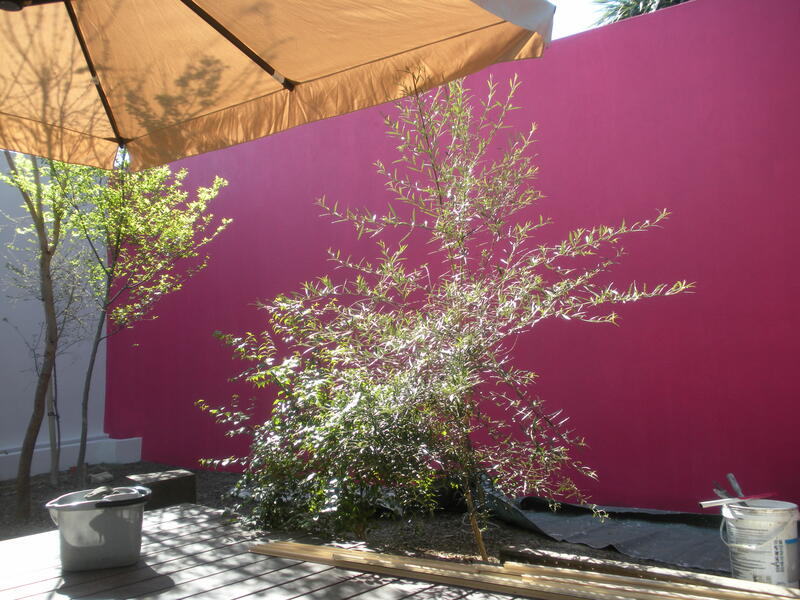 The GREENinc facebook wall is awash with pink today, as our real boundary wall gets the pink treatment. It’s exciting, it’s friendly, it’s BRIGHT. And I can’t say I didn’t have my reservations. The decisions to do this kind of thing always get made when I’m out of the office, of course. “It’s not a joke.” PG told me when they showed me the colour tab that had been decided on by committee and in my absence. It’s great to know your colleagues value your opinion on things, isn’t it? “Don’t worry, if you don’t like it, we can always paint over it again,” Anton assured me. Right. Anyway, despite always finding myself in the role of devil’s advocate, I have to admit that the pink is ….vibey. Pop in and experience it for yourself! Also posted in the last month are some photos of the model of the Botswana Innovation hub , the landscape having been modelled by SHoP using a 3D printer. Anton announced that GREENinc was part of the winning team appointed to reinvent Anglo American’s Joburg CBD campus. James posted some real green offices in Denver, a roller-skating rink at the high line in New York and an LED light installation on the Hudson River. He also posted the first photo of work starting at the June 16th Memorial project. Anton posted a slideshow on a mobile installation at Burning Man 2006. And then the pink stuff starts.